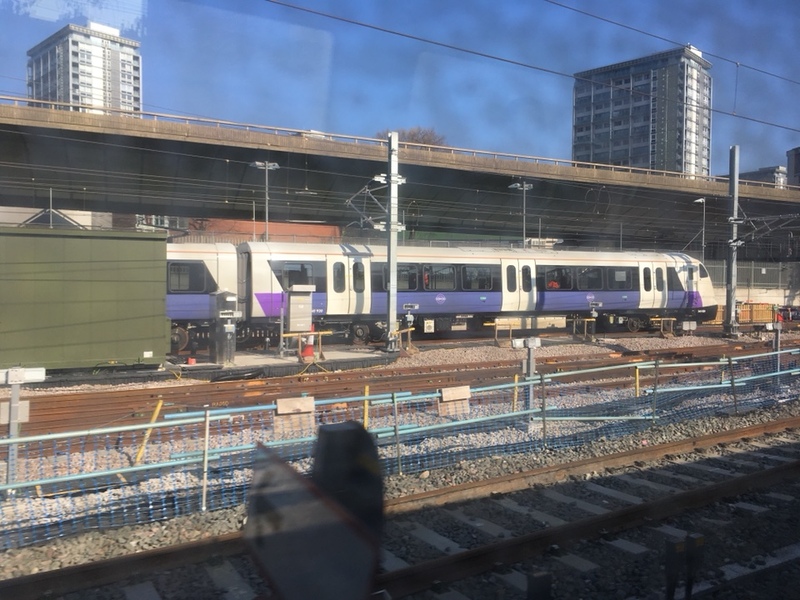 "Testing of the new rolling stock was undertaken in the Heathrow tunnels using European Train Control System (ECTS) during two weekends in January 2019. This was helpful in making progress towards Stage 2 Phase 2 where the 4tph service between Heathrow and Paddington will be provided by the Class 345 rolling stock." Seems they are getting closer to getting the system working. You've answered the question I was about to ask! Good that progress seems to be being made. When completed, that will enable the 7 car 345's to return to the Shenfield line. Today there was a blockade on the GEML and TFL Rail; so GA platforms at Stratford were taped off. At 1340 behind the tape in Platform 8 was 345.032 with a destination indication of "Paddington" surrounded by orange-vested personnel. Couldn't see if it was 7 or 9 cars. Was this testing of the junction towards Whitechapel? Don't know specifically whether it was Whitechapel but units were certainly on test in the core today with 345020 which was similarly kitted up and sent from Old Oak Common seen here at one of the reversing sidings from the train I was on this afternoon.